The GelMemory range uses the most advanced technology in mattress comfort. 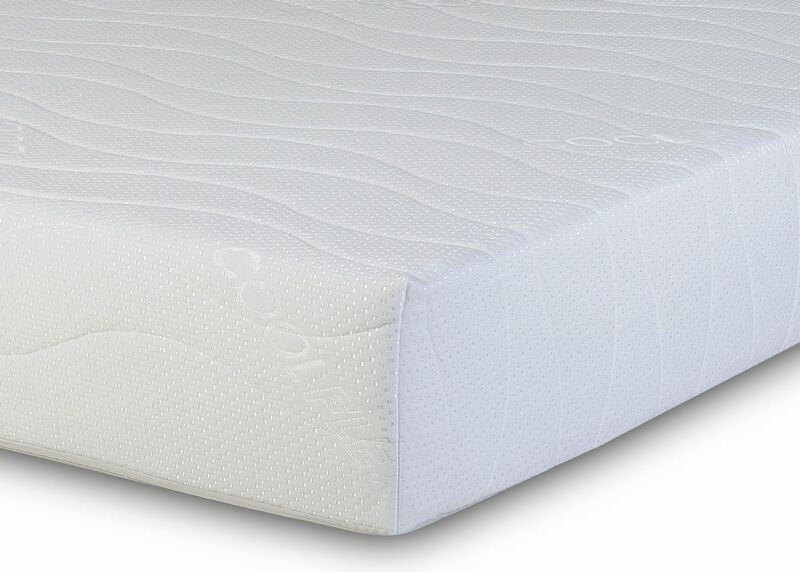 Manufactured by infusing a special layer called Laygel to the base layer, it creates a sleeping surface which offers a latex-gel feel to provide sensational levels of comfort and rebound. The advanced PU-based memory foam mattress has been engineered to offer the same feel and pressure relieving properties as a normal memory foam mattress but without the associated heat discomfort. The mattress acclimates to cooler environments for softer, fresher, supported, blissful sleep. By using Laygel, it provides a far better sleeping experience as it will feel cooler, softer and fresher. Additional benefits also include being great for allergy and asthma suffers and offers a reliable long-lasting performace compared to normal memory foam products.